The original version of Taps was called Last Post, and was written by Daniel Butterfield in 1801. It was rather lengthy and formal, so in 1862 it was shortened to 24 notes and re-named Taps. There is HISTORY, LEGECY, and MEMORIES with all those who served and came before, whether they be Military, Civilian, or Spouse. You will find, listed by Aerograph edition, some of those who came before us. This is history worth repeating. WRIGHT Julian M. Wright, Jr. "Skip" Captain, US Navy (Ret.) Passed away in Bethesda, MD on St. Patrick's Day, March 17, 2019 from complications of Multiple Sclerosis. He was 77 years old. Captain Wright received his commission and Bachelor of Science Degree in Engineering from the US Naval Academy with the Class of 1963. At the Academy, he qualified as Officer of the Deck aboard the square-rigger US Coast Guard Cutter Eagle. He was sailing master for the Academy's Yawls Frolic ('61-'62 season) and Flirt ('62-'63), including the 1963 Annapolis-Newport Race. His inspiration was Admiral Bob McNitt, the Dean and founder of the Naval Academy's sailing program. Captain Wright received the highest award for sailing leadership, the John Paul Jones Trophy, at graduation. In February 1965, Wright was designated a Naval Aviator and subsequently flew the A4 Skyhawk in Attack Squadron 83 aboard USS Forrestal (CV-59). On this cruise, he sailed against (Olympic Champion) King Constantine of Greece. From 1966 to 1968 he flew the A4 Skyhawk in two combat cruises with Attack Squadron 56 aboard USS Enterprise (CV-65). Wright was hit by 37mm ground fire over Vinh, N Vietnam and had to eject over the South China Sea in June 1968. He was awarded 19 Air Medals, two Navy Commendation Medals (with 'Combat V'), the Vietnamese Gallantry Cross, and recommended for the Distinguished Flying Cross for 189 combat missions in Vietnam. During this time, he became a member of the Prisoner of War Study Control Group, pilots shot down, but not captured. From 1968 to 1970, Wright was a jet flight instructor and selected from over 1800 applicants as one of ten regional finalists for the 1970-71 White House Fellows Program. In August 1971, after nearly completing transition to the A6 Intruder, Wright was diagnosed with MS (Multiple Sclerosis). Following a valiant effort, he was not physically retired, but rather, designated a Naval Meteorologist. In 1975, following the completion of a Master of Science in Meteorology from the Naval Postgraduate School in Monterey, CA, he served as Meteorologist in Charge for the Commander US Naval Forces Philippines from 1975-1977. From 1978 to 1981, he served as the Current Operations Officer for the Meteorology and Oceanography Com- mand Headquarters. From 1981-1983, he served as the Director of Operations for Fleet Numerical Meteorology and Oceanography Center, the operational hub of Navy's Meteorological and Oceanographic program. While in Monterey, he was Commodore of the Naval Postgraduate School's Sailing Association. From 1983 to 1986, Wright served as Head of Manpower for the Oceanographer of the Navy, followed by Chief of Staff for the Naval Deputy to NOAA in the Department of Commerce. From 1988 to 1989, he served as Director, Interagency and International Affairs Division for the Chief of Naval Operations/ Oceanographer of the Navy, and conducted an on-site operational review of the McMurdo, Antarctica and South Pole station. On August 1, 1989, Wright retired as a Captain and was awarded the Legion of Merit for dynamic leadership in national and international oceanography and meteorology affairs at his retirement ceremonies at the Naval Observatory. From 1989 to 1992, Wright was appointed Deputy Assistant Secretary for Energy Emergencies in the US Department of Energy under Secretary James Watkins (Admiral USN Ret,). Wright was responsible for the Department's policies, programs and planning to prevent, mitigate and respond to disruptions of domestic energy supply sources and systems. He led DOE's preparation and response to the Persian Gulf Crisis, while concurrently serving as Chairman of NATO's Oil Executive Board. As Chairmen, he was responsible for coordination and cooperation of energy emergency policies and programs with US allies in NATO, and the International Energy Administration (IEA) in Paris, France. From 1992 to 1998, Wright served as the Federal Coordinator for Meteorology and Supporting Research. In this position, he was responsible to Congress, the Office of Management and Budget (OMB), and the 14 Federal Departments/ Agencies with Meteorology programs for ensuring systematic coordination and cooperation, and for prioritizing allocated federal funds. Due to a sudden worsening of MS symptoms, which for the most part had been in remission since 1971, Wright medically retired from the Senior Executive Service in 2000. With the help of a motorized scooter, Wright has served as a docent on the Revolutionary War for the Society of the Cincinnati at the Anderson House in DC, and was recently inducted into the Society of the Cincinnati from the state of New Hampshire. The Chevy Chase Daughters of the American Revolution and the state of Maryland also honored Captain Wright in 2018 for his heroic service in the Vietnam War. Wright, an Eagle Scout and native of Auburn, New York, is survived by his wife of 52 years, the former Dr. Anne Brantley of Newton, Mississippi, and they live in Bethesda, MD, near their children, Christina, Rachael and Andrew (Lisa). The Wright family and their friends will gather on Thursday, March 21 from 10 a.m. until Mass of Christian Burial at 11 a.m.l at the Shrine of the Most Blessed Sacrament, in Washington, DC. where Captain Wright taught 7th grade Sunday School for over a decade. 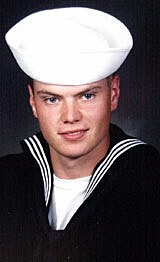 Interment will take place at the United States Naval Academy Columbarium at a later date. Skip Wright was one of the most dedicated, positive shipmates I’ve known. Our tours crossed many times. Robert Agness, 86,. passed away on January 30, 2019 after a brief battle with stage 3 lung cancer. He was a member of The Naval Weather Service Association and served as President. He visited Antarctica each year for many years in his capacity as a civilian engineer prior to serving as a NAESU Engineer, working with the MOETLO Program before his retirement. He is survived by his wife, Shirley. May he rest in peace. Thomas Joseph "Joe" Berry of Fairview, Texas, passed away peacefully on Saturday, Feb. 23, 2019, at the age of 89. FUNERAL MASS: 2 p.m. Friday, March 1, 2019, at St. Jude Catholic Church followed by a reception. Rosary: A rosary will be prayed in honor of Joe at 1:15 p.m. Friday, March 1, at the church. Burial: Joe will be laid to rest at 1 p.m. Saturday, March 2, 2019, in Mount Olivet Cemetery in Fort Worth, Texas, with full military honors. MEMORIALS: In lieu of flowers, please consider donating to a charity of your choice in his memory. Joe was born Nov. 9, 1929, to William George Berry and Mildred Philomena Healy Berry in Fort Worth, Texas. At 14, Joe began working for the Texas & Pacific Railroad. In 1947, he graduated from R.L. Paschal High School in Fort Worth, Texas. During high school, Joe played multiple sports while working two jobs. At 17, Joe enlisted in the United States Navy and served during the Korean and Vietnam wars. Joe traveled extensively during his 22-year career as a chief aerographer's mate. On Nov. 17, 1969, he retired as a master chief petty officer (E-9). After serving in the Navy, Joe worked for 22 years as a foreman for Texas Electronics, Inc. Many of the weather instruments that he built are still being used at various landmarks across the country. Joe loved life and was extremely proud of his Irish heritage. Joe was a member of the VFW and American Legion. He was devoted to the Carmelite Nuns of Dallas. Joe enjoyed participating at St. Elizabeth Ann Seton, St. Jude's Catholic Church, and the Plano Senior Center. He was an avid golfer who also enjoyed bowling, but will be especially remembered for his love of music and dancing. Joe was loved dearly by his family and friends. He was a southern gentleman known for his giving heart, strong Catholic faith, service to country and devotion to family. He was married to Barbara Hurley Berry for 35 years. Together, they raised five children who adored him in Irving, Texas. He will be forever remembered as a hero to his sister and brother and the "Best Dad Ever" to his children. Most importantly, he will be cherished as God's humble servant who lived by faith, hope and love. We miss you, Dad. Joe was preceded in death by his brother, William "Billy" Bernard Berry and parents. SURVIVORS: Joe is survived by his children, Anna Marie Allen and husband, Raymond, of Fairview, Texas, Daniel Joseph Berry and wife, Shellie, of Petaluma, Calif., Julia Rose Smithof Phoenix, Ariz., Retired Lt. Col. Linda Diane Berry of Phoenix, Ariz., and Martha Berry Shields and husband, Jim, of Gold Canyon, Ariz. 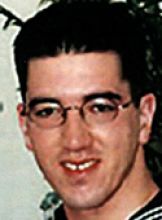 He will be honored by his grandchildren, Raymond Allen III, Kathleen Rendek, Marissa Lewis, Brendan Berry, Joshua Berry, Christopher Allen and Lucas Berry; sister, Mary Ann Conley and husband, Ken, of Pantego, Texas; brother, Patrick George Berry of Addison, Texas; and numerous nieces and nephews. Published in Star-Telegram on Feb. 27, 2019. Bette Kidd passed away on March 16, 2018. Funeral Home Services for Bette were provided by El Camino Memorial – Sorrento Valley and El Camino Memorial Park of San Diego, CA. Capt. John W. Kidd, USN Captain John William Kidd, USN, known to friends and family as “Jack," and to the Naval Aviation community by his call sign “Starbuck," "came in for his final approach" on June 10th. He passed away after a long stretch of poor health, followed by a swift decline after fracturing his hip in a fall. He was born to John Rice Kidd and Elanore O'Connor Kidd, on August 21, 1927 in Philadelphia. Since he was a boy of only five years old, he knew without a doubt that he wanted to grow up to be a Navy pilot. After graduating as valedictorian from Bensalem High School, he went on to live his dream of flying for much of his adult life. His impressive Naval career, as a pilot and meteorologist, spanned 31 remarkable years. Jack entered the military as a teenager towards the end of World War II and by the end of his service in the Navy, he'd worked in many capacities. 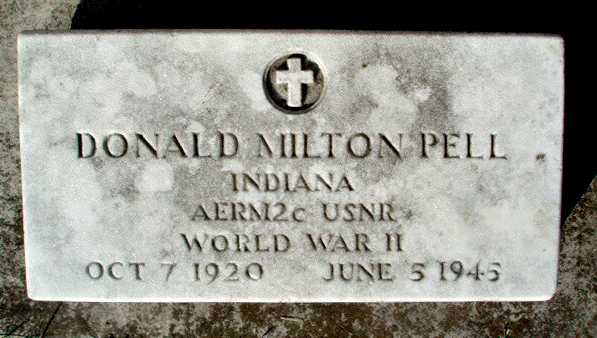 A few of his many accomplishments included serving as a line officer aboard a carrier, being a flight instructor in Pensacola, an essential meteorologist as part of "Operation Hardtack" during the 1958 Nuclear Testing in Ewenetok, and later flying as a "Hurricane Hunter" while stationed in Guam during the early 1960's. He was also the CO in London, England on North Audley Street in the early 1970's, a Naval representative with NATO, as well as a Navy meteorologist with the North American Weather Organization. He very reluctantly retired in 1976 leaving the military, and the career he had so loved, due to failing vision. For the last several years of his colorful military career he wore the four gold stripes and a gold star, of Navy Captain. Accompanying him on the 25 Navy moves around the world was his wife of sixty four years, Bette Lou Owens-Kidd and their growing family. Bette still resides in their home in Coronado, where they retired. [Bette Lou Owens-Kidd passed on March 16, 2018]. For a few years after retirement from the Navy Jack continued to work in weather research and stayed involved with his passion of flying, forming his own weather research company. For fifteen years after retirement Jack and Bette were very active members of the local volunteer organization, "Project Wildlife,” rescuing, caring for and saving hundreds of various species of wild critters. As tremendous as past challenges were serving during World War II and Vietnam, in the later years of his life he found his greatest challenge was learning to live with complete blindness. He was helped during these difficult years by close family members and some of the dearest helpers he could have wished for. His helpers were his eyes to the world, and became some of the family's dearest friends. Among them were Becky Baker, Gail Bowyer, Mary Grace, Rita Taylor, Jackie Poole, Kathy Campbell, Tanya Withowski, Debbie Arnold, Rolla Linde, Michael Denson, and Suzanne Basore. Jack is survived by his wife Bette [Bette passed on March 16, 2018]. his children Dr. John Edward Kidd of Coronado, Diana Lou Kidd of Coronado, and Jon Daniel Kidd of San Diego; a sister Diane Seabridge of Virginia; and grandchildren Jonathan Barker, Christina Kidd, Heather Clancy and Shannon Clancy; along with several nieces and nephews. Predeceasing Jack were his infant son Francis William Kidd; his parents John Rice Kidd and Elanore O'Connor Kidd; and his sister Florence Buck. Chapel services were Monday, July 18 2016 at El Camino Memorial Park, 5600 Carroll Canyon Road, San Diego, followed by burial with military honors at Miramar National Cemetery, 5795 Nobel Drive, San Diego. Accompanying him on the 25 Navy moves around the world was his wife of sixty four years, Bette Lou Owens-Kidd and their growing family. Bette still resides in their home in Coronado, where they retired. Gladys was born on April 1, 1925 and passed away on Wednesday, January 16, 2019. Gladys was a resident of Maryland at the time of passing. "She got a six-month honeymoon in Waikiki," he said with a smile; "sixty eight years and 5 months we were together..." From 1950 forward, Gladys would take on the role of Navy wife and homemaker. Donations may be made to: Hospice of the Chesapeake http://hospicechesapeake.org Visitation at the Fink Funeral Home from 1:00 PM to 2:00 PM on January 26, 2019. Tuftonboro, NH. Robert Edgar Buttrick, 85, of Ledge Hill Rd, died peacefully at his home on Wednesday, May 16, 2018. His family was by his side. Robert was born to Charles Lewis Buttrick and Hazel Vivian (Spencer) in Haverhill, Mass. on February 6, 1933. He grew up in Hampstead, NH, graduating with his class of 7 in 1951. Robert met his sweetheart, Elizabeth Ann Holmquist, in high school. They were married in 1953. Robert enlisted in the Navy in 1952, and retired with honors in 1977 as Lt. Commander. He served aboard the USS Midway, USS Ranger, and the USS Albemarle. During his service Robert was stationed in Argentia Newfoundland, Opa-Locka Florida, Panama, Alameda California, Kodiak Alaska, Lakehurst New Jersey, Guantanamo Bay Cuba, Pensacola Florida, and Willow Grove Pennsylvania. Robert was a Cub Scout leader, a Little League coach, and was a member of the Tuftonboro Volunteer Fire Department. In his retired years he enjoyed vegetable gardening, and working on his vehicles. He was an avid NASCAR fan. He and his wife enjoyed snow skiing, snowmobiling and their gambling trips to Las Vegas and Tunica, Mississippi. Robert was predeceased by his parents and his twin brother, Ronald Buttrick. He is survived by his wife of 64 years, Betty Ann, two sisters, Connie Merrick of Haverhill, Mass, and Carlene Demerrit of East Hampstead, NH, 5 children and their spouses, Kathy and Russ Pettit, Robert and Carole Buttrick, Daniel and Stephanie Buttrick, Steve and Carrin Buttrick, and Susan and Curt Pike. He has 7 grandchildren, Melissa, Dustin, Sarah, Nancy, Ami, Stephen and Jonathan, and 6 great grandchildren, Madison, Chase, Coltan, Irena, Annabel, and Ryleigh. He had 16 nieces and nephews. Following Roberts wishes there will be no calling hours or services. In lieu of flowers, friends are invited to make a donation to the Tuftonboro Firefighters Association, PO Box 437. Melvin Village, NH 03850 or Central New Hampshire VNA Hospice, 240 South Main Street, Wolfeboro, NH 03894. Elmer H. Smith was born February 21, 1931 in New Orleans, Louisiana to Lillian Harvey. He was later adopted by the late Vivian and Lester Smith. He was a member of the Mission Memorial Church. He attended grammar school and high school in Chicago and completed two years of college. Elmer joined the Navy at age eighteen. He undertook the Occupation Specialty of Meteorology. During his distinguished career he served in both the Korean and Vietnam Wars. 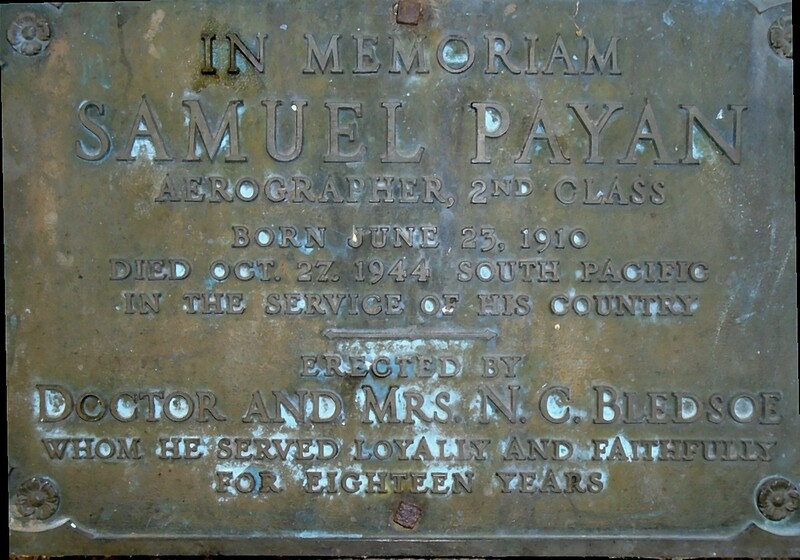 He retired after twenty-two years of service at the rank of First Class Aerographer's Mate. After retiring from the Navy he worked for U.S. Gypson Company as a supervisor for fifteen years before retiring. While serving in Okinawa Elmer met and married Kayoko Wakugawa. They have been married for twenty-five years. They have no children. Elmer leaves three children: Paul A. Smith, Janet Smith Martin and Gloria Smith from a previous marriage. Besides his wife and three children, he leaves to mourn his death two sisters, Teresa Brown and Ellen Brooks; two brothers Harold Jackson and Fred Dukes; two grandchildren, Paul A. Smith, Jr., and Jessica L. Martin; a son-in-law, Andre' Martin and daughter-in-law, Patty; as well as a host of nieces, nephews and other relatives. Jack J. Jensen, Captain, U.S. Navy (Retired) of Monterey, CA, died Monday, September 10, 2018 at the Community Hospital of the Monterey Peninsula. He was born in 1940 in Bloomington, IL to Clarence and Caroline Jensen and was raised in Milwaukee, WI. Jack graduated from the University of Wisconsin with a BS in Meteorology and was commissioned in the Navy from the NROTC program in June, 1962. He served on the USS Paul Revere; as an NROTC instructor; as a meteorologist at Yokosuka, Japan, and aboard the USS Saratoga; and as the oceanography community assignment officer. He was the community's first officer assigned to the Royal Navy UK, and first oceanographer assigned to Office of the Assistant Secretary of the Navy. He served in Keflavik, Iceland, and as Commanding Officer of the Naval Oceanography Command Center in Rota, Spain. Captain Jensen established and managed the Navy's Environmental Systems Program Office in the Space and Naval Warfare Systems Command in 1985. He was most proud of the (TESS(3)) program that set standards in the rapid acquisition of affordable, rugged, and high-powered computer technology for fleet use. 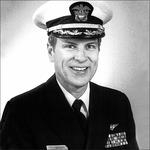 Captain Jensen retired from the United States Navy in 1992, after serving as the Commanding Officer of Fleet Numerical Meteorology Oceanography Center (FNMOC), Monterey, CA. Following retirement, Jack supported the Naval Postgraduate School as a defense contractor. He is survived by his wife of 48 years, Valerie (Eilers); daughter, Kristen; son Andrew (Alicia); grandchildren, Samantha and Aaron; and his sister, Lois, of Madison, WI. Captain Jensen will be interred at the California Central Coast Veterans Cemetery with a small family ceremony. In lieu of flowers, the family suggests making a donation in Jack's name to your favorite veterans' charity. Robert Mackie 85, of Camarillo, Physical Science Tech, died 4/28/2018. Published in Ventura County Star on May 2, 2018. ELROY R. MCLEOD 74, died September 13, 2018.The Funeral Mass was held on Sept. 28th at St. John Vianney Catholic Church, Prince Frederick, MD, followed by burial in the SJV cemetery. Local arrangements were handled by Wilmington Funeral & Cremation, Wilmington, NC. Published in the Wilmington Star-News on Sept. 26, 2018. The Service of Remembrance for Mr. Francis J. Drybala, age 93, of Beverly Hills, Florida, was held August 10, 2018 at the Florida National Cemetery, Bushnell, Florida. He was born September 21, 1924, son of the late Stanley and Helen (Laskowski) Drybala. He died August 8, 2018 in Lecanto, FL. Mr. Drybala was an Navy veteran serving during World War II. He worked as a meteorologist for the Hurricane Center in Miami, FL. His interests include classical and jazz music and plants. Mr. Drybala was a member of the Beverly Hills Civic Club, Polish-American Social Club, Polish-American Hertitage Club, and Italian-American Social Club. He was preceded in death by his parents, wife, Mary Drybala, son, John Drybala, grandson, Jeffery Dixon. Survivors include a daughter, Ellen Dixon of Citrus Springs, FL, 4 grandchildren, Michael (Tiffany) Barry, Jeanna Barry, Amanda Dixon, and Jacob Dixon, 4 great grandchildren, Austin, Jaylina, Carter and Jayson. Online condolences may be sent to the family at www.HooperFuneralHome.com. Arrangements are under the direction of the Beverly Hills Chapel of Hooper Funeral Homes & Crematory. Submitted by AGCM Tom Miovas, NWSA Sec/Treas. Learned from receipt of an email from his daughter that my first LPO, AGC John P. Bleclic USN (ret) passed away 4 SEP 18 at the age of 97. John and I served in USS GLACIER (AGB4) from 1959-62 making three trips to the Antarctic. John was advanced to AGC in 1962 with nearly 20 years in the USN. For his Antarctic service in 1961-2, there are two peaks in Antarctica named for him. His committal service will be at Arlington National Cemetery at a future date. Blec may be the last survivor of the those U.S. Sailors ( the Aerographers' Mates) that Served Undercover in China, in the Rice Paddy Navy; or sometimes referred to as "Gobi Desert' wanderers. The Author of the book "Rice Paddy Navy", Linda Kush, included quite a bit about the "weather" effort"; however, not many names were used; probably the time she wrote the book (published 2012) there weren't many left alive to provide names or wasn't able to obtain data that was classified. I sent a picture of an American in one of the pictures on the dust cover of the Kush book and he told his daughter "that's me". I have read the book and it talked about those who served were debriefed when transferred, their tour of duty was SECRET, and not to talk about it. Maybe that is why in 14 years after WWII Blec didn't talk much about it. One day when taking a sounding, Blec was wearing a tee shirt (we were passing through the tropics), I noticed he had a real ugly tattoo on his left bicep. I asked him what it was suppose to be and he told me it was an Eagle; I told him it looked more like a Chicken; he then told me he got it in Rangoon India. Asking what he was doing in Rangoon he told me it was a stopover for his trip to China. I thought he might have been an AG that served in China (I had seen the movie "Operation Gobi" starring Richard Widmark) and asked if he had seen the movie; he told me had, but the story was bogus as the U.S. Govt did not give saddles to a tribe of mongols to fight for the U.S. Navy. He told me weather missions were to avoid any contact with the Japanese. At a 2002 NWSA Reunion in Asheville, N.C., I visited him in Rutherfordton ("ruffton" according to Moon Mullins) and asked Blec about his tour "wandering the Gobi"; he didn't add anything to what he had told me on Glacier. It was a miracle that I found him living with one of his daughters in Virginia in 2016. His daughter arranged a telephone call with me and Blec and I talked for 10 minutes or so. He knew who I was and mentioned Glacier; I think he was 95 at that time. I only knew two "weather guessers" who knew Blec; Gerry Struck who Blec relieved on the USS Randolph, and Mel Harder who was stationed with him at Suitland, where Blec transferred to serve in Glacier (1959). He was a sailor's sailor, and from America's Greatest Generation. Jimmy E. Moore of Las Animas, CO. passed away on April 7, 2018 in La Junta, CO. at the age of 73. Jimmy was born on May 30, 1944 in La Junta, CO. Graveside Memorial Service was held on June 4, 2018 at Ft. Lyon National Cemetery in Las Animas, CO. Per Jimmy’s request, cremation has taken place and there was no visitation. Rear Admiral Barbor served with distinction in the United States Navy, including: four sea duty tours, multiple shore staffs, and command of two shore facilities. He also culminated as the Commander of the Naval Meteorology and Oceanography Command at the Stennis Space Center in Mississippi from 1998 until his retirement in 2001. Following his service to our country in uniform, Ken answered another calling, to become an educator. He joined the University of Southern Mississippi’s Department of Marine Sciences as Director of the Hydrographic Research Center, where he both developed an internationally recognized research program and led the Department’s Master’s Degree in Hydrographic Science to a position of international prominence. In 2002, he was asked to serve his country for nearly six years as the United States Representative to the International Hydrographic Organization in Monaco. He served in this role with distinction and returned to USM once again to educate students from all over the world and to develop MS graduates in Hydrographic Science that are recognized internationally for their expertise. Additionally, the program at USM was designated by the government as a “national center of hydrographic expertise”. John Edwin Halpin of Patrick Air Force Base, Florida, age 69, passed away peacefully at home on July 26, 2018, surrounded by his loved ones. He was born on January 19, 1949 in Plymouth, New Hampshire, and was a longtime resident of Phippsburg, Maine. “Jack” was a U.S. Navy aviation weather forecaster, staff meteorologist on the summit of Mt. Washington in New Hampshire and a science teacher in Maine. Navy postings included NAS Brunswick, Guam, the Antarctic, Spain and aboard the USS Saipan. He embarked on a second career after he proudly earned a Masters degree and taught science at Lincoln Academy in Newcastle and Morse High School in Bath. After retirement, he and his beloved wife Peggy enjoyed traveling cross country in their motor home. A lover of nature,he spent his leisure time birdwatching, hiking with his dogs, golfing, operating his Ham radio, and flying model airplanes. He enjoyed keeping in contact with his many friends and introducing his grandchildren to his hobbies—and he made a wicked good bowl of chili, seafood chowder and excellent ribs. Jack had a true affinity for cooking for his family. He is survived by his wife, Peggy; his son Erick and wife Anne Schlitt of Phippsburg, Maine; daughter Holli Owen and husband Erich of Telluride, Colorado; grandchildren Willow of Phippsburg, Maine and Hayden and Ellowyn of Telluride, Colorado; a brother Will and sister-in-law Joanne of Milbridge, Maine; and sisters-in-law: Patti Freeman and husband Doug and Heidi Leveillee and husband Dan. Jack also leaves many friends from Patrick Air Force Base and Phippsburg. He was predeceased by his parents Joseph D. Halpin, Sr. and Phyllis (Thompson) and by a brother, Joseph D. Halpin, Jr. This OBI was provided by his wife Joanne Halpin today.John E. Halpin passed away on 7/26/2018. Pensacola - On November 3, 1937, Greene Berry Hawks was born to Hobart Cardwell and Maggie Jean Bobbitt Hawks in a beautiful old home nestled in a cove of the Appalachian Mountains in Lambsburg, VA. Greene lost his father to cancer at a very early age. Maggie moved with her son to Mt. Airy, NC, to be closer to her family and later gave Greene a stepfather and five brothers and sisters; Tony (Frankie) D'Amico, Angelina (Clyde) Bowman, Bruce (Brenda) D'Amico, Phillip (Juanita) D'Amico, and Bonnie (Irby) Payne. Greene always enjoyed singing. During his high school years, Andy Griffith, a native of Mt. Airy, served as a school music teacher and chorus director for Greene's chorus. After joining the U. S. Navy at age 17, Greene was chosen to sing with the Navy Blue Jacket Choir, which performed at the Capitol and other venues. In later years, he sang with his son, Clay, in the Pensacola Oratorio Society. Greene trained with the Navy to be a Meteorologist. His first duty station in his career was at Corry Field in Pensacola. He spent many tours aboard Navy Carriers and time in Alaska, Newfoundland, San Diego, Norfolk and school tours at Great Lakes. He came back to Saufley Field to complete his final tour and begin retirement after 22 years of service. He became active in the Masonic Lodge and in the Shrine Antique Car Unit with his "58 Lincoln Continental convertible (supposedly one of 4 identical ones purchased by Elvis Presley). He was an active member of the Local and National Retired Navy Meteorologist. After retiring from the Navy, he began a new career studying Special Education and Administration at UWF. He became an Administrative Dean at ESEAL for a rewarding second career spanning over 18 years. After this retirement, he devoted his time to family, growing his prize daylilies and camellias and being actively involved in the Garden Club and Camellia and Daylily Clubs. Greene is preceded in death by his son, Dempsey Clayton. He is survived by his wife of 56 years, Mary Marion Hawks, daughter-in-law, Malinda (grandsons, Joshua (Kate) and Jonathan), son, Andrew David and wife, Mary (grandson, Jeremy and granddaughter, Whitney). Greene passed away on Sunday, August 5, 2018. The Hawks family would like to express their sincere thanks to his wonderful caretakers and support group at Homestead Village and Covenant Hospice, who helped so much in the last months of his life. A Memorial Service will be held Friday, August 10, 2018, at 9:00 AM, at First United Methodist Church of Pensacola. 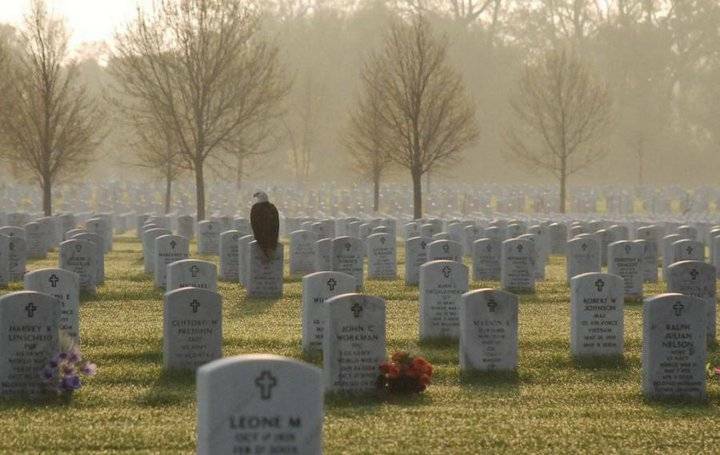 A Committal Service will be held at Barrancas National Cemetery, NAS Pensacola, at 11:00 AM.